This is the official website for the Hayle Area. We hope you'll find this site useful in providing links to businesses, community groups, things to do and tourist information. 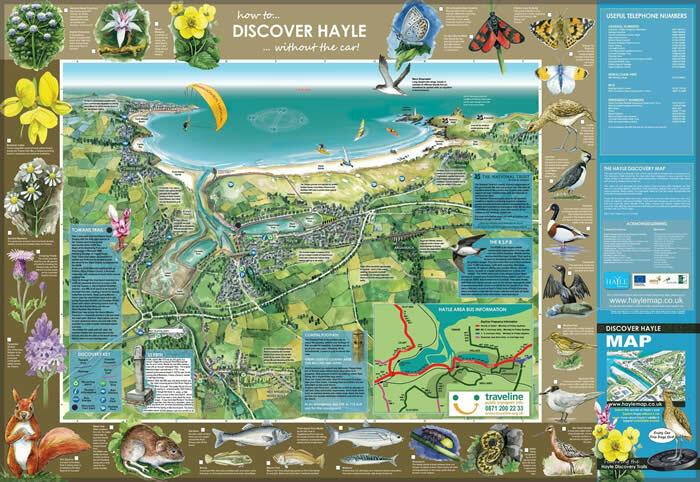 Find out about the flora, fauna and heritage of the area through the Discover Hayle Map available FREE from Hayle Tourist Information Centre, accommodation providers and retail outlets throughout Hayle, Gwinear-Gwithian and St Erth. You can download a copy of the map here. Funded by Hayle Area Plan, Hayle Town Council, Cornwall Council and West Cornwall Local Action Group with sponsorship from local businesses. We welcome any suggestions on how we can improve this site or comments about the content. Please use the contact form to get in touch if you can't find the answer you need.